Our Makeup Stax Vanity Trays provide a comprehensive system to organize and store all your cosmetics and cosmetic accessories. Use them as individual storage trays or stack multiples to create a modular system. They can be used inside a drawer or on top of a counter. 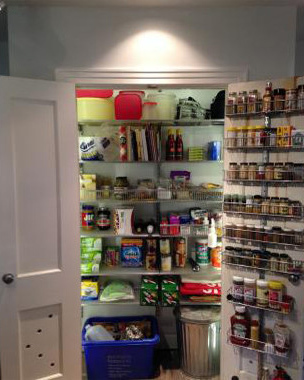 Stack several to maximize the use of vertical storage space. A storage classic, our 5-Section Acrylic Tote has been part of our product collection for many years! It's well-constructed and beautifully designed to hold everything from makeup and toiletries to utensils and napkins. The clarity of the material lets you see at a glance what you've stored. Please advise dimensions of this items. This product is 6-3/4&quot; wide x 15-3/4&quot; long x 1-3/4&quot; tall. For a solution 1&quot; tall or less, we'd recommend the products below.